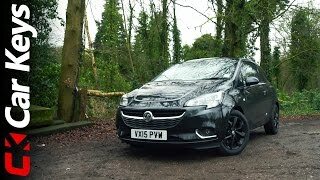 The all new Vauxhall Corsavan 2015 made its world premiere at the Brussels Motor Show somewhere in mid of January 2015. To the gleaming eyes they found a new motor to hit the roads featuring, bright new exterior, high class interior and a commendably improved chassis. The car is on sale now and has replaced its award-winning predecessors beating the outgoing model by 21 Kg and a flat loading capacity of 920 Liters, but is it all the car holds to talk about its features? We believe the reply has to be no. 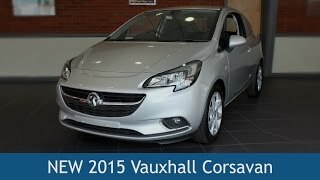 Let us take a step ahead and find out what all features have been loaded in this new Vauxhall Corsavan 2015. The Engines so loaded in these models make them more distinct, giving the buyers a good option to chose, as to which one suits best to their needs and pockets. Now let us see the features these models bring for you. It has an all new worked out Electronic Stability Program Plus, which not only includes active roller protection and hydraulic brake fade assist but also offer you hill start assist and straight line stability control. Apart from these, the models in Corsavan category at its convincible price range of 12,000 Euro to 14,000 Euro, offers its buyers, One-touch electrically operated windows, electrically adjustable door mirrors, Tire pressure monitoring system and Speed-sensitive electric power-assisted steering with City Mode. Not to be asked and giving a surety that these are the only features which takes this model close to its buyers. The sportive model apart from more power and performance will make your ride better with its additions such as, Air Conditioning, Metallic and pearlescent paint giving it more adorable look, being straight a sporty complexion. The leather covered steering wheel mounted with audio controls, makes your sporting ride more safe and full of fun. IN this model you’ll also have a Cruise control with speed limiter function, working as an obstacle between you’re the unexpected occurrences and again simultaneously giving you a safer ride. 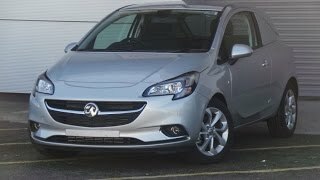 In all the Sportive model has been loaded with all features that not just give this model a sporty look but also emphasis has been given to the individual’s security and entertainment. 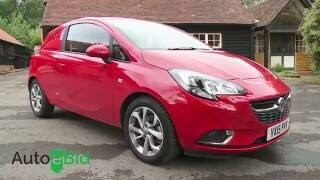 In the end all we would say about the model is, that with its so economic price range the Vauxhall Corsavan 2015 is definitely something you will love to have and for trust, ‘sneak into predecessors’.